You and I both know when we like a photo. But do we know why? I think I’m getting better at figuring out my reasons but I’m guessing there are a sea of subliminal forces affecting my subjective choices. One aspect recently caught my attention. 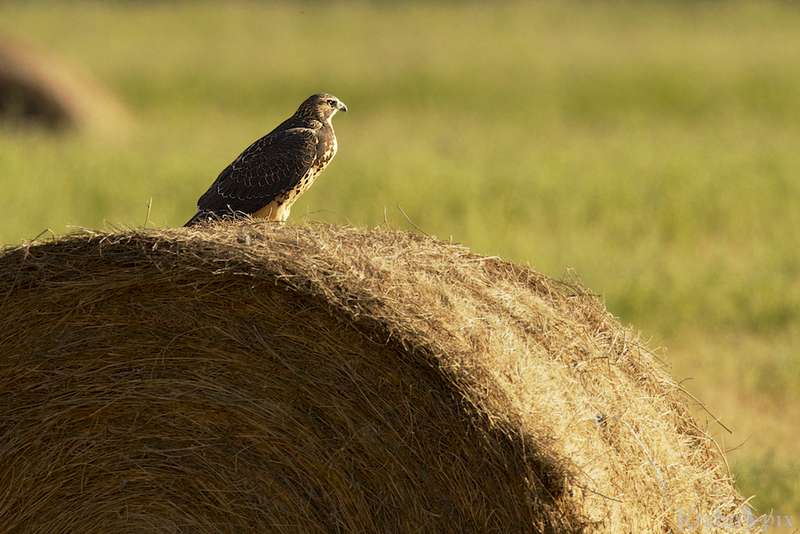 I like wildlife and never tire of the focused stare of a hawk on the prairies. If a photo is technically more difficult to make, am I inclined to like it more? I can be a bit pompous when these conversations are swirling around in my head so I immediately dismissed it with a little attitude. Sheesh – settle down. My mind wandered way back to my Royal Conservatory Piano lessons. Now I don’t know if it was real or imagined, but one of the biases I detected was that making the music more difficult to play automatically made it better. That was a tough sell to a 10-year old who wasn’t a fan of that traditional style of music anyway. Needless to say, that line of reasoning didn’t take then and still doesn’t do much for me now! I like to think I’m a pragmatic sort so it only makes sense to me that beauty or enjoyment should be based on the response of the viewer to the final product, not on the degree of difficulty to produce it. Celebrating technical excellence in these areas seems like intentionally missing the point. I like waterfalls and never tire of their power and thundering noise. The snow was an added bonus to this image and I can’t help wondering when that large chunk will fall into the river. I like music that sounds good to me and photos that draw me in. (That last sentence was pretty deep so you may want to reread it!) I don’t get accused of being an elitist too often. Of course, sometimes arriving at the final photo may be easy or at other times extremely challenging. I can acknowledge and respect the hard work that goes into a final result but that alone doesn’t make it better. In fact, sometimes the effort might be entirely misplaced. I know of what I speak! Other times only a lot of hard work makes the final beauty possible. I recall a photographer dismissing a particular photo because the effect someone else had used was easily applied using PhotoShop. I remember wondering why on earth should I care? Shouldn’t the focus be on the beauty and inspiration of the final photo? So why should anyone care? I think that too much admiration for the technical aspects of photography, or any other art, can be a distraction from the original purpose. And it might be the first step back to the dreaded piano lessons! Now you may be entirely sorry that I let you in on this conversation with myself. In the off chance you made it to the end, I’d be curious to hear what you think. I like sunsets and never tire of the colour splashed all over the scene. I think your fellow photogs admire something that is more technical. I see something that I know took time, experimentation, expertise – and I admire it. Now whether or not that makes a good photo is open to debate 🙂 Sometimes it can and only someone with skill gets it. As far as photoshop goes, it is as difficult to master well as photography and there are those who make works of art with it – there are also those who make a bad image worse. There is often a bias against Photoshop that implies that it is easier than getting it right in camera – that’s just not true. I have seen some pretty terrible examples of Photoshop that reinforce your last point in spades. I like the summary you provided above and it makes sense – maybe that’s closer to what I was trying say. I struggled a lot when writing this post and wasn’t entirely sure I was clear about my point. After a number of people had commented, I was sure I didn’t make it clear and perhaps I still need to do more thinking on it. I didn’t want to take away admiration or respect from any technical aspects (climbing a mountain to get a shot, properly adjusting a camera or making the proper adjustments on the photo on the computer). At the same time those things alone don’t make it beautiful. Perhaps there is still a missing link to the whole subject or I am trying to make something more complicated than it really is. Anyway, it’s been a learning experience. I think it depends on who you are sharing the picture with, Lyle. If you and I are looking at an image that was technically difficult to achieve or the location presented some issues with the approach, the yeah, it would matter to us both. But a general audience won’t care a bit and neither will a photo editor. As far as processing goes, as long as a person is being honest in their presentation, then go for it is my attitude. I am not worried about people thinking photography needs to be pure as long as it truthfully represents our experience and vision. Anyone who ever worked in a darkroom knows that film photography rarely represented reality when it came to artistic endeavors. Journalism needed to, but when people were creating art with their camera there was a lot going on in the development. We all see color and light differently. You’re right that you and I would care that an image was technically more difficult to make and would appreciate the difficulty of approaching a location without easy access. I am fascinated by some of these processes. The narrow point that I was trying to make is that just because they were more difficult to make, doesn’t make them better or more beautiful photographs on their own. They still should be judged by whether they resonate with the viewer. Perhaps it is a fine point. We certainly do see colour and light differently. I was reminded of this when we got one panel of the car repainted. When I picked it up I thot it was a poor match but then realized the panel butted against another on a curve and the light made it seem so different. As you said, honesty is really the key to those situations. Yup, I’m going with the third one as well but…I am biased towards hawks so… it’s a tough choice. As far as excessive post processing on an image goes, my approach is, could a person standing next to the photographer using a film camera get approximately the same picture? Stunning photography, the third is my favorite. Thanks. The sunset seems to be the most popular one. I have to agree that it’s the final photo that counts, not how hard it was to make it. The story of making the picture is a whole other story, interesting to hear, but for me, separate from the viewing experience. I always enjoy your photos, Lyle, as well as your commentary. That’s a good point. And those two stories can leave quite different impressions. Why do we like a photo? I suppose you could try to dissect your reactions and analyze your reasons, but that scientific examination would only get you so far, because our response is often a response of our heart as well as our mind. “Le coeur a ses raisons que la raison ne connaît point.” (The heart has reasons that the mind (reason) does not know at all.) Seventeenth century French philosopher Pascal’s often-cited sentence seems to apply here (though he was actually talking about our relationship with God). Beauty is almost invariably subjective, though almost everyone would agree that your sunset picture is beautiful. What about the photos of the hawk? I really like the composition and the interplay of the light and shadows. Clearly, though, the perched hawk is the star of the photo, but I recognize that some people are just not fond of aerial predators. Frozen waterfalls? I like the wild, rugged, untamed feel of that kind of landscape, but does everyone? I have a hard time understanding what I like and I find it extremely difficult (if not impossible) to understand the reaction of others. I strongly suspect you are right again. Still I find my natural inclination is to peek and pry to understand just a little more of the subjective choices that I and others make. I suspect that I will also continue in that endeavour even if the results may never be entirely satisfying. Hard wiring is a powerful driver. I really like that quote! There is a fascinating interplay between the heart and mind. The little reading I have done in that area has been fascinating. The choices and decisions we make can travel an interesting journey. The mystery in the whole area seems so inviting. The real art is showing something that is impossible to say. Photoshop can’t do it, nor can a stack of calendars with pretty pictures. The world is amazing. The best photographers document, and sometimes it isn’t pretty. I might have been better off replacing my post with your comments. Well stated. Sometimes the simplest photos are the most iconic, like the Afghan girl in the refugee camp in Natl Geographic from years back. Other times, we have to hike miles and miles and use a tripod to get an epic scene. I appreciate both, but I think when looking back at my own photos I’m most proud of the ones that took a lot of effort to achieve. Great photo on the bottom by the way, a true +3 sunset. That Afghan girl really was iconic – simple often is more profound. I can see from yours and other comments that I could have explained my point better. I really didn’t consider hiking, using a tripod or even composition as the technical part of photography. I was thinking more of the computer side of photography. I can certainly understand the effort involved in getting to a place or waiting for a wildlife shot would make you proud of it – I would be too. Glad you like the sunset. It was one of those special surprises. Came upon your blog by looking at the tag nature on WP. I read a comment above about your bird photos and started looking at all the animals that you photographed. I also like to photograph birds and only wish I lived in a place like where you are from. Your photos are so beautiful and expressive. The hawk on the bale caught my eye. Yes, it was one that really spoke. Thanks for stopping by to check out the photos and commenting. I’m happy to hear that the hawk caught your eye because they sure catch mine when I’m cruising around the countryside. I can never get enough of them. Certain lighting condions create for vibrate photos and very short windows of opportunity. That’s exactly right. The first and last photos definitely fell into that category. Appreciate the comment. Beautiful last photo. Needed to see this today. Thanks! Happy to help and grateful to do so! Hopefully tomorrow goes better for you. I generally go with an emotional response to an image. Does the picture draw me in and capture me (as your last image did – very much so, as a matter of fact.) I find some images where the focus is on technical mastery a bit too tidy at times, getting lost in pixel peeping. Perhaps the best of both worlds might be a balance between the two. Then again, much of it is subjective. So very hard to pin down. It all is hard to pin down and I struggled a lot trying to figure out exactly what I meant and how to say it. I like your phrase, “a bit too tidy,” to sum up what missing the point can sometimes look like. After thinking about some of the comments, I would add that a certain level of technical expertise is required to make good photographs but beyond that it’s really the impact of the final photo that should be focus. I appreciate you adding to an interesting discussion. I like your birds, Lyle, but – this time your last picture took first prize! What a light!!! Glad you enjoyed it. I was surprised by that light. First prize is pretty cool! I love the sunset photo so much it makes my heart hurt!!! Breath-taking!!! Your photographs move me…I feel that I’m right there in the scene, too!! In my opinion, it doesn’t get better than that!! I never tire of them either! God Bless! I’m so happy to take you to some of the wonderful places I’ve been. It’s nice to be able to make them live on in photos. I really appreciate your kind comments. Great!!! Where are we going next??? Funny!! Does your family share you wanderlust????? I think everyone has their own. Yup…and each for different things! I agree with the commenters just before me- its how an image makes me feel. Unless it turns out that you have a pet hawk who is trained to fly from your wrist and perch on bales. I still get amazed at the feelings that photos can evoke. Your pet hawk comment made me chuckle. You’re absolutely right that wouldn’t be the same but it would be a most unusual pet! Gorgeous sunset pic Lyle – there are so many different hues it’s incredibly magical. Thanks. In my experience sunsets aren’t too common in the mountains and this scene just exploded in front of me so I raced down to the shore to grab a few photos. It didn’t last long. I didn’t have far to go in this case so it was relatively easy (after transplanting myself with two days of driving). Slow down you move too fast, you’ve to make the morning last. Great lyrics! But the scenic shots make the point very well. That’s exactly why I like photos so much – they capture that split second in time and preserve it theoretically forever. Thanks for commenting. I have no idea what are you saying 🙂 but I like a photo because the object speaks to me. Sometimes I have no clue if the photographer worked on it. When the special effects are so evident I tend to not like it so much. I believe the rusty slope is fantastic. That’s exactly where I’m coming from as well. We often don’t know what’s behind the photo in terms of work done on it but we do know our reaction and that is where the focus should be. I appreciate the comments. As with any craft there is a certain value we place on time and energy used to achieve a result. After all, what we achieve too cheap, we esteem too lightly, as the saying goes. There seems, with artistic pursuits, a tendency toward a purist attitude among some, and I suppose to some degree, we all want to measure up to that highest standard. On the other hand…beauty is in the eye of the beholder. Photoshopped or not. I was reacting to the purist tendency but I suppose if too little time or energy is involved then it becomes too common place to be particularly beautiful. As for measuring to the highest standard, I think perhaps that’s where the paths might diverge somewhat toward technical or aesthetic standards depending on what we value. We probably want the highest standard of one or the other, or in some cases both. You raise some interesting points. Three stunning Images Lyle! All very different, but beautiful in their own way. For me, what makes a great photograph is very personal – It’s how an image makes me feel. I care very little about how technically it has been produced, with the possible exception of the composition. Yes beauty can take so many different forms and it really is fascinating how personal that connection can be. It’s difficult to predict how others will respond. I hadn’t thot of composition as part of the technical production but seen through that lens I would agree.